Once you’ve experienced a photochromatic visor, you’ll never want to ride with anything else on your helmet. The Bell ProTint is a welcome expansion to the field of self-tinting visors. Pick up yours on June 1st. 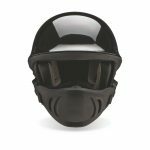 SCOTTS VALLEY, Calif. (May 23, 2018)– Bell Helmets, one of the industry’s most iconic brands and a leader in innovative head protection, today announced ProTint, the company’s first proprietary photochromatic shield. After years of research and development efforts by Bell’s engineering team, ProTint’s photochromatic technology self-adjusts to random changes in lighting conditions, arming riders with optimal clarity, day or night and regardless of varying environments. 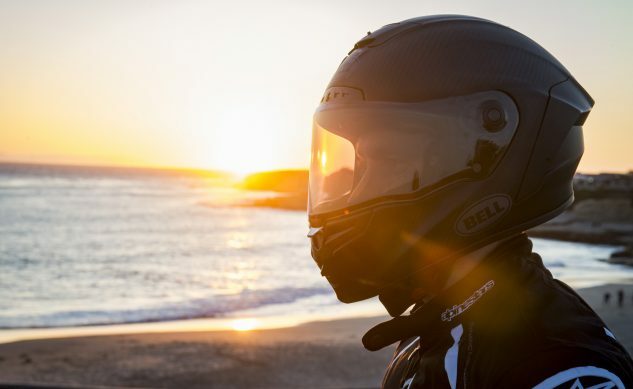 With ProTint, Bell becomes the first helmet manufacturer to develop its own proprietary photochromatic shield technology, underscoring its commitment to developing industry-leading protective technologies. ProTint’s adaptive shield technology offers exceptional clarity in low-light conditions, but quickly darkens when exposed to bright light. 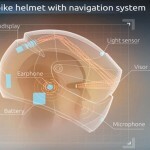 This reaction allows the rider’s eyes to comfortably adjust to randomly changing conditions throughout the day. In addition, ProTint offers unrivaled detail with lenses designed to provide enhanced contrast, allowing riders to discern shapes and colors faster, while also reducing eye strain through varying light conditions. 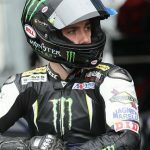 ProTint is compatible with Bell helmets that feature the Panovision viewport, including the all-new SRT Modular, as well as the entire Star lineup, which includes Star MIPS, Race Star FLEX and the industry-leading Pro Star FLEX. The new ProTint shields are available now at select retailers and online. 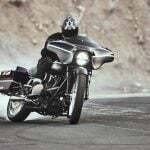 For more information on ProTint shields, visit www.bellhelmets.com. Riders can also join the conversation and follow the latest from Bell Powersports on Facebook, Instagram,Twitter, and YouTube.